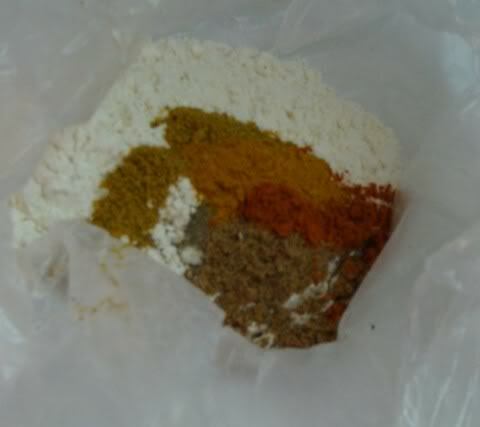 Mix all dry ingredients in bag, add chicken and shake. 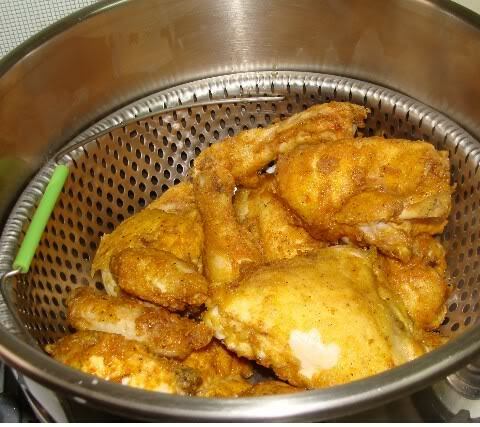 Put oil in pressure cooker and fry chicken just like you would in a regular frying pan without the lid or rack. 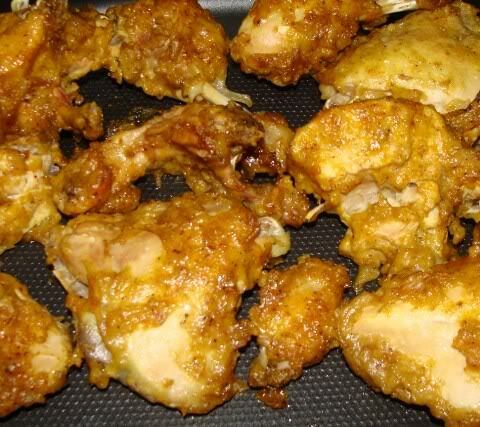 Once browned remove chicken . Add diced onions and water put rack in pressure cooker. Put chicken back in pressure cooker and on the rack and put on lid. When your cooker reaches pressure, lower heat to stabilize pressure and time for 15 minutes. 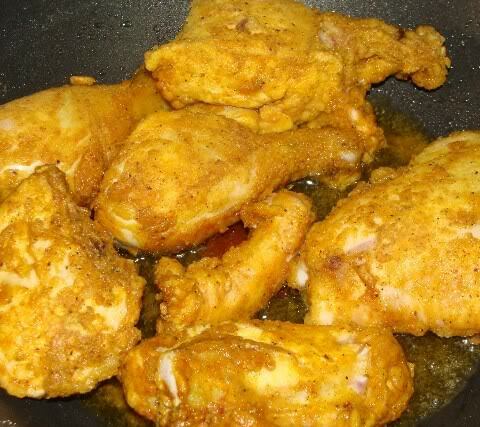 After 15 minutes of cooking remove from heat and remove the steam carefully or run cold water over the base of the cooker for a few minutes to completely release pressure. You will find that the coating of the chicken is quite sticky at this stage - but it is finished off in the oven to regain it's crispiness. 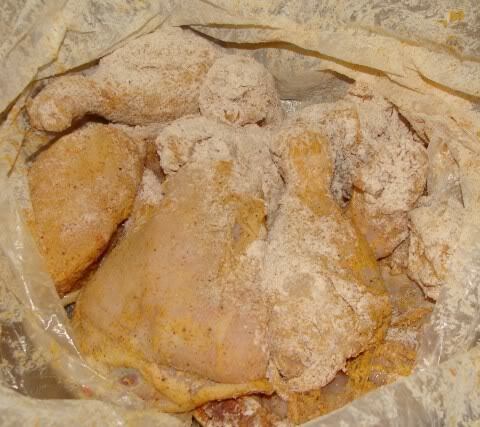 To freeze for future use, put the cooked chicken on a tray and put it in the freezer until well frozen then put in bags to pick individual pieces as needed. When ready to eat, allow to defrost then reheat in a 400° F oven until crisp -- about 45 minutes. Thanks so much Aisha I have never heard of this way how neat seems healthier to witch is always nice.